If you are looking for parts for your Conco Crane, Whiting is the only company truly capable of providing original equipment parts and service. Backed by full knowledge of the part specifications and materials, Whiting Parts and Whiting Services are here to help keep your Conco Crane running at peak efficiency. 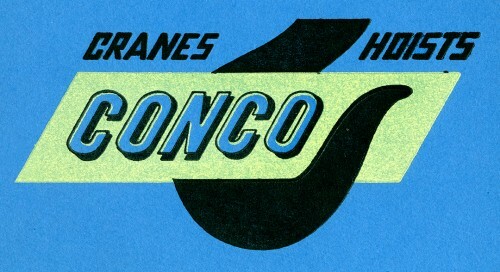 Whiting acquired exclusive possession all product drawings and schematics of Conco Cranes in 1985.